Make sure the lender is ready to issue a pre-approval letter when needed. A pre-approval is more powerful than a pre-qualification letter. 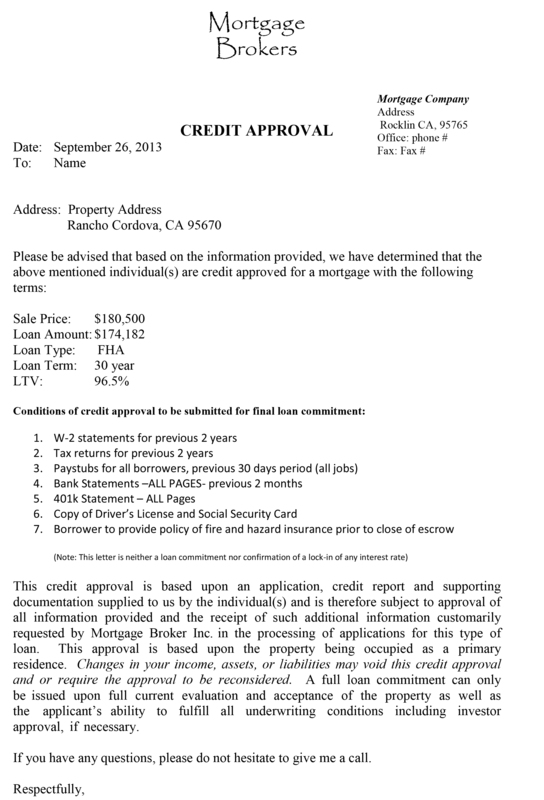 A pre-approval letter involves verification of the information. The lender will ask for documentation to confirm employment, the source of your down payment and other aspects of the borrower’s financial circumstances. Sellers often prefer to negotiate with pre-approved buyers because the sellers recognize such buyers are financially qualified to acquire the financing they need to close the transaction. A pre-approval letter is an especially helpful position in a close, multiple offer situation. The key point in a pre-approval letter involves verification of the information. Start the verification and submission of records and paper work to the lender as fast as possible. The benefit is uncovering any financial problems or issues. Early time is useful in solving any issues. But last minute problems can end the whole real estate deal. Check out a sample pre-approval letter.